We all have that favorite sneaker, the one that’s comfortable and can take you from casual Friday at the office to a night out with friends, or coaching the kids' soccer team. However, your ride or die sneaker for day-to-day activities often times won’t cut it for demanding HIIT workouts like 9Round. Training shoes offer more stability and durability so you can transition from a squat into a side kick with ease. You need just the right amount of traction on the mats, stability for executing kicks and other lateral movements, and support in all the right places. With an overwhelming number of kicks to kick it in, we’ve asked some of 9Round’s veteran heavy-hitters to share their favorites. If you're a big fan of "The Rock" AND of superior training shoes, the Project Rock Delta (by Dwayne Johnson and Under Armour) may just be your bream shoe! The mid-rise ankle collar offers superior stability without rigidity. There’s also a good amount of cushioning in the midsole to give you the kind of bounce back you’d want in explosive movements and running. The Project Rock Delta is also deceptively light (10.8oz) for versatile training and has plenty of room for wider feet. The Glycerin, from Brooks, is advertised as a road running shoe (and was also a favorite in our women's catergory), but it won us over with a little extra room in the toe box for wider feet, great cushion and arch support, and all the grip you need to execute planks and mountain climbers. The ALL TRAIN 215 KNIT is responsive and flexible and moves with you naturally, supporting your feet during high impact agility, strength and speed workouts. This men's training shoe provides superior comfort, stability, power, and lateral support to get you through rounds one through nine in comfort. 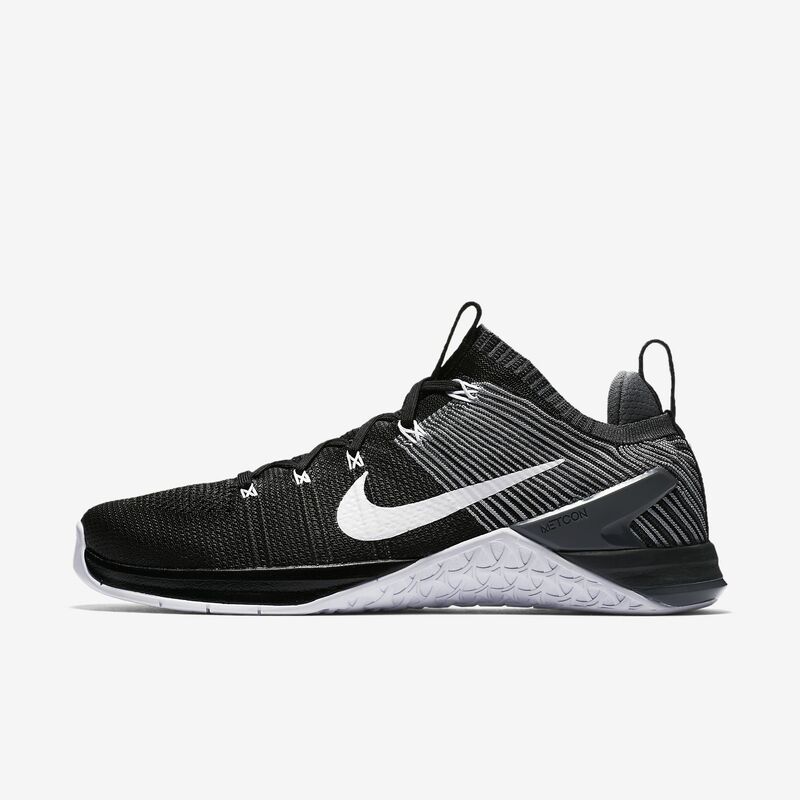 Another favorite for both women and men, the Nike Metcon Flyknit shoes have a steady platform and secure heel, as well as a sticky, rubbery forefoot so you won’t lose your footing during explosive movements. Making them even better if you’re a big cross-trainer, the Flyknit material and flexible bottom allow you to hit top speeds on the run. Wide footed friends be aware, these are a better fit for normal to narrow feet. Disclosure: All products featured here were hand-picked by 9Round team members in the hopes of getting you closer to your health and fitness goals. We only recommend products we love and believe that you will, too. We do not receive any compensation for the promotion of these products.